Intraline One is a hyaluronic acid filer used to treat medium to deep wrinkles, as well as restore volume and shape to lips. 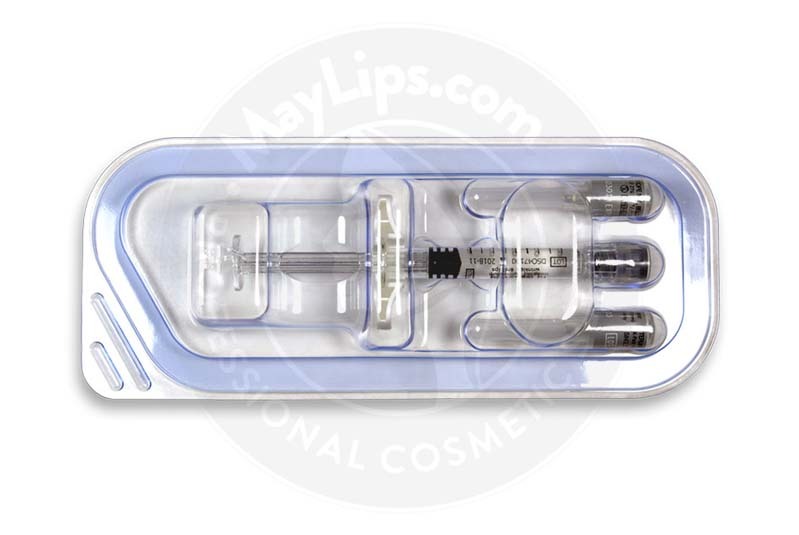 This injectable solution is a transparent, viscous, sterile, non-pyrogenic gel, which is composed of cross-linked sodium hyaluronate of non-animal origin. Hyaluronic acid is a naturally produced lubricant that works to cushion cells within the skin. With this, it gives the skin a very subtle level of added volume, creating a restored sense of radiance in the patient’s complexion. This dermal filler is manufactured by Intraline, a pharmaceutical company that specializes in the creation of naturally derived anti-aging treatments. 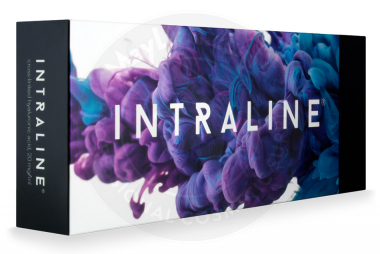 With a focus on helping to restore confidence in men and women across the globe—and run an environmentally conscious, holistic business while doing so—Intraline is an organization that patients and practitioners alike can trust. 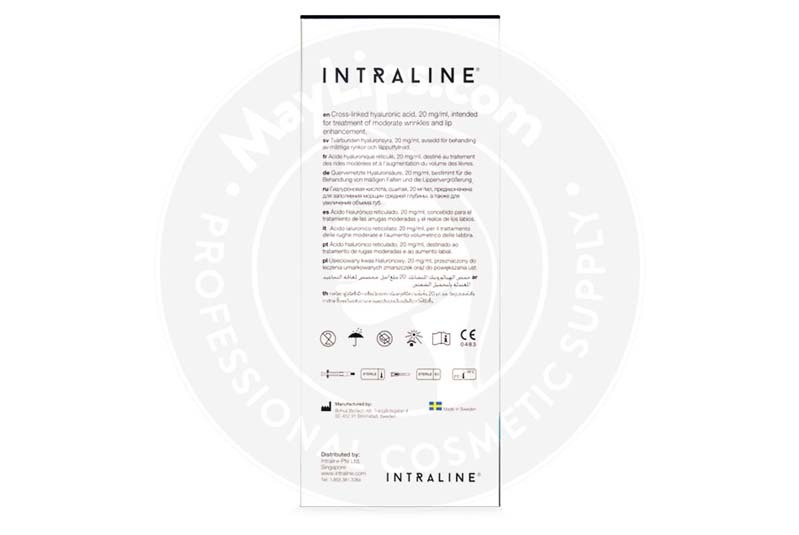 Packages of Intraline One each contain 1 prefilled 1mL glass syringe, 2 Terumo-brand 27G needles, 2 patient record labels, and a 20mg/mL solution of sterile, cross-linked sodium hyaluronate gel. This face filler should be kept at a temperature between 2 and 25°C, and should be stored out of the reach of frost and light to prevent premature expiry. 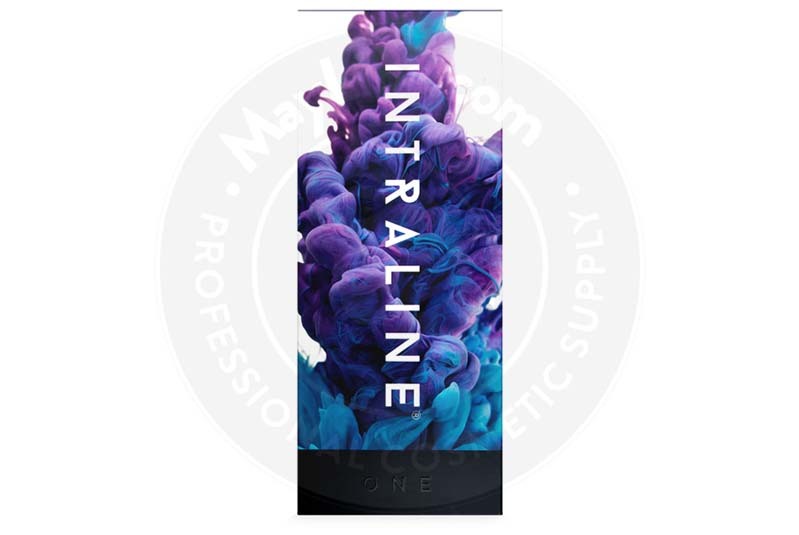 Intraline One works to treat medium to deep wrinkles, including marionette lines, nasolabial folds, the cupid’s bow, and oral commissures. It may also be used as a method of lip enhancement. Backed by years of research, Intraline One has been optimised to provide smoother, more natural-looking results than ever before. Its formula makes use of Intraline’s innovative Spherification Technology, which corrects the typically angular rhomboid molecular structure of hyaluronic acid. The rounded, circular shape of Intraline One’s molecules allows for greater molecular density, translating to increased product efficacy and a more desirable finish. Hyaluronic acid itself works to hydrate and volumise the skin, adding support to aging, sallow facial tissues. With its ability to bind with up to 1,000 times its weight in water, it plumps and cushions skin cells, restoring a youthful texture. What’s more, the hyaluronic acid contained in this dermal filler is obtained through a proprietary bacterial fermentation process, allowing for better patient tolerance. Because this formula is not derived from animal tissue, it is not only highly effective: it’s also environmentally responsible. 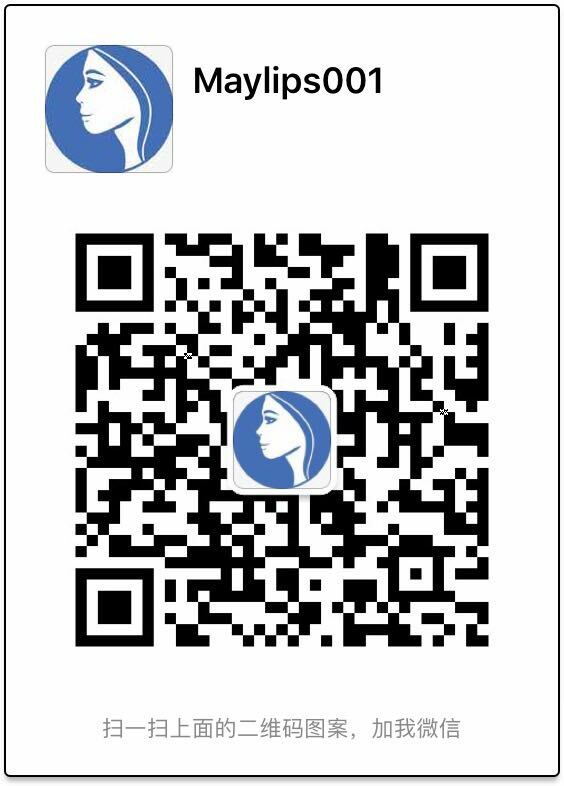 Intraline One may only be administered by certified medical practitioners with a thorough understanding of facial anatomy and safe proper injection techniques. It should not be mixed with other products, injected into the bloodstream, adjacent to a permanent implant, or in connection to other ongoing skin treatments. Furthermore, Intraline One should never be injected into infected, inflamed skin. Prior to treatment, ensure that the patient’s skin has been thoroughly cleared of oil, makeup, or other residual product. The injection site should be cleansed with a proper antiseptic solution to prevent the spread of any bacteria. Ensure that the integrity of the syringe and needle has not been compromised, as well as that the gel has not expired, prior to beginning the injection. Assemble the syringe and gently push the plunger rod until gel appears at the tip of the needle. Inject the product intradermally into the mid dermis under the wrinkle or fold. This should be done slowly and carefully, with the use of proper injection techniques. Take care not to inject the product too deeply, as this will shorten the duration of the filler’s effects. Additionally, superficial injection must be avoided, as this may result in visible lumps and blanching of the skin. For each treatment session, a maximum dosage of 2mL is recommended: this will help to avoid overcorrection. To avoid material from leaking out of the skin, complete the injection a few millimetres before the entry point in the skin. Moreover, when changing injection sites, ensure that a new needle is used. Once the treatment is complete, lightly massage the skin to properly spread the product along the contours of the surrounding tissue. Inform the patient that they must not expose the affected area to extreme temperatures for a week following treatment. Strenuous exercise should be avoided for 2 days following the injection, as this may result in increased bruising. The patient should not apply makeup for 12 hours after treatment. According to clinical studies, the effects of Intraline One injection may last up to 12 months. However, this may vary based on the patient’s age, the amount of filler used, and the location of the injection site. Although Intraline One has been tested to ensure patient safety, individuals with certain health concerns should not undergo this treatment. Pregnant and breastfeeding women and those under the age of 18 should not be injected with dermal fillers. Additionally, those taking anticoagulants or thrombolytics, those with acute or chronic skin inflammations, and those with bleeding disorders should not receive treatment with Intraline One. Please note that individuals using substances with an effect on platelet function, including aspirin or anti-inflammatory drugs, should not use Intraline One, as this may cause increased bruising or bleeding. Additionally, this dermal filler may reactivate a latent herpes simplex virus or result in angioedema-type swelling. Following injection with Intraline One, minor side effects may occur. However, these are typically quite minimal, and usually resolve themselves within 7 days. If symptoms persist for longer than a week, a physician should examine the injection site. Intraline One is crafted with hyaluronic acid, a substance found naturally in the body’s tissues and joints. This naturally occurring sugar helps to hydrate, add volume, and maintain elasticity in the skin, making it a key player in the upkeep of a youthful, healthy visage. Hyaluronic acid-based fillers like Intraline One work to repair the natural breakdown of this compound in the skin—a phenomenon commonly caused by the aging process. They work to fill in fine lines, hollows, and wrinkles, leaving the patient with a naturally enhanced look. Over time, injected hyaluronic acid breaks down and is reabsorbed into the body.